Everyone loves to get a good deal, but when it comes to your camper mattress, it might not be worth it to buy a used replacement. A used trailer mattress will definitely save you money compared to a new one, but buying used can cost you in the long run – continue reading to find out how. You don’t know the history of that used RV mattress. While you would hope that people are not dirty and gross, you can’t be sure of anything when it comes to strangers and their mattress habits. If you think about everything that can happen on a mattress, you’ll have some idea of what you might be sleeping on when you buy used. There could be bodily fluids embedded in the fibers, pet dander and dust mites. Not only are these extremely disgusting, but these things can cause allergic reactions and breathing problems (at least for some people). These little guys can hitch a ride in any used camper mattress you bring into your RV. They can cause serious problems to your health as well as your wallet. You might not even know they are there until you start waking up with a scaly, itchy rash on your body. Once bed bugs invade, it’s hard to get them removed from the premises. They can hide anywhere and invade the next bed you buy even if it’s new. It’s best to stay away from an RV mattress that could be infested with bed bugs for your health and safety. If you have an irregular size camper mattress, it can be tough to find a replacement when you try to buy used. Even if you can get past the factor that you could end up with bed bugs and a dirty mattress, you might not be able to find one to fit the space in the first place. It can be close quarters in an RV space, and you may require a custom RV mattress to fit. You won’t likely find one that’s used. In many cases, your RV might come with a coil mattress already. While you might want to buy a used camper to save money, you should consider replacing the current mattress with a new one. This is especially true if it’s a coil mattress. The year of the RV is probably the same year the mattress was made. 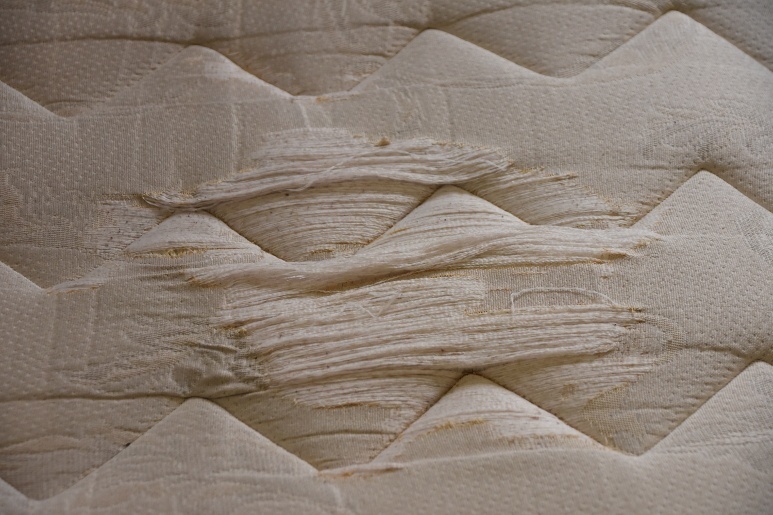 Old, coil mattresses can become bumpy and the springs can wear, which means an uncomfortable night’s sleep. Whether you buy a used RV and want to replace the mattress, or you are thinking of replacing your current mattress, you should never buy a used replacement. The money you save will not be worth the health problems and hassle you’ll have to endure!